The projects are being added by CECL in pursuit of serving the Wind Energy sector more and more and better and better. It has been a grand achievement that most wide varierty of services have been successfully provvided by CECL which include: Site Identification, Wind Resource Assessment, Micro-siting, Energy estimation, Validation, Feasibility studies, Detailed Project Report preparation, Design and Engineering, etc. CECL also provides services of Due diligence, procurement and contracting, Project management, Monitoring etc. 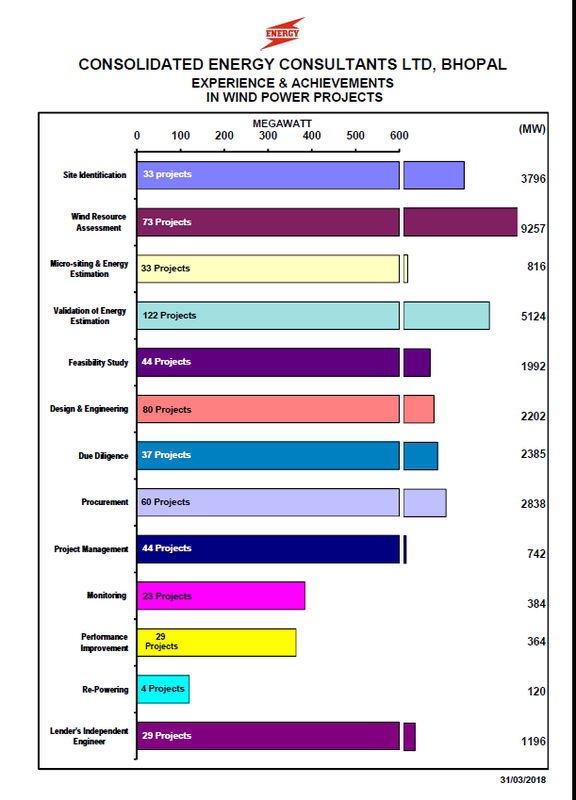 The other projects and assignments are tabulated in graph below.